Because of the large scale of the project I was proposing, as well as the fact that it would benefit citizens from both sides of our highly-polarized political environment, I knew there was only a slim chance of these high school students taking me up on my offer. So because I haven't received a single response since notifying them about this petition 3 days ago, I've decided to pull the plug on it. This wasn't the first, and it probably won't be the last, disappointment I've had when writing and submitting e-petitions over the past 20-odd years. But it won't discourage me from writing more. And for those of you who might be considering writing a petition of your own, I'll explain why: Even if your petition flops, the difficult process of researching and writing it is beneficial because it enables you to become somewhat of an expert regarding the issue you are addressing. And you'll probably find out (as I have) that this petition-writing process will not only improve your thinking and reasoning capabilities, but will also improve your life in ways that you can't even imagine. This petition and its background section were written specifically for students at Marjory Stoneman Douglas High School in Parkland, FL (MSD). However, students at other high schools (anywhere in the world) are also encouraged to sign if they intend to form democracy clubs of their own. So if you're a student at MSD, please indicate that in the comments section in order to facilitate an accurate count of your signatures. The video deals with a bill in Congress that (like those calling for stricter gun control) has appeared to be impossible to pass, no matter how many times its sponsors have submitted versions of it in the Senate (2007, 2009, 2011, 2014, 2015, and 2017) and the House of Representatives (2014, 2015, and 2017). And this has been true in spite of the fact that reputable polls have shown that a majority of Americans support campaign finance reform legislation (NYTimes/CBS, Pew Research Center). The reason I'm telling you all of this now, is that pressuring Congress into passing it is one of several major projects that I will be encouraging you to undertake this year. As you can see (House, Senate), there are lots of members of congress and highly respected citizen groups that are supporting this legislation, The main thing that has been preventing its passage is that the leadership of the House and Senate have prevented it from being debated and voted on. And that's where you come in. Because, as then-candidate Obama explained 11 years ago, "If we're really going to have significant change at the federal level, it's not going to be enough for me as president to say we need to do this." And further on in the video, he explained why: "It's important that the public say we are outraged! We are tired of how campaigns are bought, and we want to change it!" And judging by how effectively you and high school students all across our country were able to turn your outrage about gun violence into a major national issue virtually overnight, I think that you just might be capable of generating enough public support to shame Congress into finally passing this legislation..
To give you a better idea of how electing members of the House and Senate with public financing could make Congress much more responsive to the needs and wishes of the American people, take a look at this video of the lady who used public funding to become "the first woman of color ever to win city-wide office in New York." And with that, I will return to the rest of my long-winded introduction. If you scroll down to the petition, you'll see that its author (me) is asking your school to establish an MSD Democracy Club and a 21st Century Democracy Club. You'll also see that I'm offering to transfer my ownership of some domain names to you for free after certain conditions are met. The only other stipulation is that you agree to never transfer ownership of any of these domain names without first offering to return them to me (or my heirs) for free. It's my hope that these new clubs will become so successful that they will inspire the creation of a network of high school democracy clubs all across our country. And perhaps, eventually, the world. I know it won't be easy, but I'm confident that you and your fellow students are more than up to the task. Following this general introduction, the rest of the background section will be devoted to describing how I envision these domain names being used. Bear in mind that these are only suggestions I'll be making, but I hope you will give them serious consideration—if for no other reason than out of respect for the 50+ years I've spent studying, financially supporting, and taking part in a wide variety of grass roots political activities. And don't be overwhelmed by the number of domain names in the second batch. I don't expect you to try using all of them at once, which is why I placed those with achievable short term goals at the head of the list. You may have different ideas in that regard. But bear in mind that the overall goal is to have this new nationwide system of clubs become so successful that it will inspire students at other high schools to form their own. So it would be counterproductive to bite off more than you can chew at the beginning stage of your clubs' development. As to my motive for purchasing domain names, and why I'm offering them to you now, the answers are not very complicated. My primary focus has always been on finding new ways of making our ongoing American experiment in democracy more representative of the will of the people. especially by harnessing the power of our ever-improving communications technology to make our voices heard, And when the price of personal computers dropped enough to enable middle class folks like myself to purchase them, it became obvious to me that e-democracy was the wave of the future. My intention all along has been to hold on to these domain names until I could find citizen groups that I felt had proven themselves capable of using them effectively. Perhaps I set my standards too high, but the upshot is that I have failed in my quest thus far—in spite of spending a great deal of time and energy since I purchased my first domain name 16 years ago. And I see no reason to believe that I will be any more successful in the future. That's mainly because of the toxic political atmosphere that has been created by the clash between our centuries-old governmental system of checks and balances (that was purposely designed to make change slow & difficult), and impatient groups of citizens who have been empowered by all the incredible advances in communications technology that have been made in recent years. What I regard as the most pernicious result has been the political defeatism and cynicism this has engendered among many of your elders, as they've witnessed (and sometimes participated in) one failed grass roots movement after another—including ones that reputable polls showed were supported by a solid majority of their fellow citizens. But almost as bad has been the creation of what author Jonathan Rauch labeled as demosclerosis way back in 1992, long before such things as social media and smart phones had made their appearance. It is meant to describe how advancements in communications technology have made it extremely difficult for Congress to pass legislation that might be perceived as adversely affecting the members of any organized special interest group. That's because the leadership of these groups are able to closely monitor everything that goes on, and have become experts at organizing passionate protests from their members within hours. And here again, it doesn't much matter whether or not the policy changes are supported by a majority of Americans. Those of you who are advocating for various types of gun laws are well aware of this problem. Because no matter how many reputable polls have shown that a majority of Americans favor stricter gun laws. groups such as the NRA and GOA continue to oppose almost all of them, But due to the nationwide attention that some of you and your fellow students have been able to draw to this issue since your school's horrific mass shooting, there's a good chance that some of the legislation you favor will finally be passed by Congress. But even if you're not successful in the near future, your joint efforts have already achieved much more than most of your elders (including me) thought was possible. Rather than resting on your laurels and retiring from political activism, however, I'm asking you to continue to lead the rest of us in the years ahead by creating a new nationwide system of clubs. One that will dedicate itself to harnessing the idealism, energy, and creativity of our country's youth in an effort to make government (at all levels) more responsive to the needs and wishes of the American people. And there's probably no better place to do that than in our country's high schools, which have been failing to provide most of us with an adequate education in government and civics ever since the 1960s. So don't judge your elders too harshly about having failed to ensure that our elected representatives did more to address gun violence and many other important issues. Most of us simply didn't know what to do, or when & where to start. And bear in mind that Florida "is largely regarded as having the most comprehensive civics education program in the country" before passing a similar judgment on millions of your fellow high school students in other states. After all, as actor Richard Dreyfuss said it in this 2006 video, "You can learn that it is okay to keep asking the questions, and to be dissenters. And if you're not taught it, then you don't know it." And I can think of no better place for our country's future voters to learn by doing what it takes to be good citizens than in high school democracy clubs. Clubs that will ideally be run to the greatest extent possible by students, under the close supervision and guidance of knowledgeable, experienced teachers. Now you've got a pretty good idea of why I'm making this leap of faith by committing to donate my most valuable domain names to high school students like these, the majority of whom won't even be old enough to vote for years.. And I'm not alone in thinking that your impressive response to the horrible tragedy you recently experienced, has put you in a unique position to "inspire a new focus on civics education." By the way, that is one of the best articles I've read on the current state of civics education in our schools. So I urge you to read it in its entirety. And I hope that you will pay heed to the cautionary words of knowledgeable people such as the Associate Dean for Research at the Tisch College of Civic Life at Tufts University: "I don't want it to be stereotyped as left-of-center, government-oriented activism. I think there is a little risk of Parkland polarizing the issues of civics, when the point is students being activated to participate in debates that deeply affect them." 21stCenturyDemocracy.ClubThis will be used for the national headquarters of all the high school democracy clubs. And just as all of your county's public high schools are listed on this web page, I suggest that one of your first tasks should be to create similar pages for every American school district. Then you will able to highlight and draw attention to every high school that creates a democracy club, including a link to those that have their own web pages. And don't forget to include school districts in Puerto Rico and other American territories. 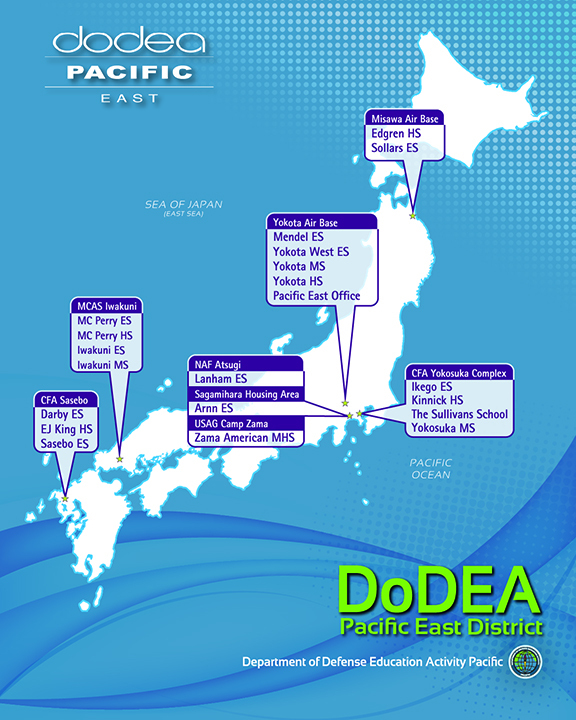 as well as those administered by our Department of Defense in foreign countries (such as this one in mainland Japan). And last but not least, don't forget to include students attending private schools, and all those of high school age who are being home-schooled. The latter will present a unique problem because they often don't have a location where they meet with other students on a regular basis, but I'm sure that you'll find ways to overcome that. And to minimize conflicts between students, parents, teachers, school administrators, and school boards over some of the contentious political issues that your clubs will address (such as gun control), I think this site should also be the home base for all of your major political activities. In other words, I think that individual high school clubs should exert total control over how they handle local issues. But when it comes to addressing issues at the state and national levels, I think it would be wiser to have local clubs generally limit themselves to such things as keeping members informed, discussing current events, conducting debates, and voting on policies & activities. And until such time as enough clubs have been formed to adequately support activities at the state level, I think this national site should focus entirely on the federal government. It might also be a good idea to start looking for an off-campus location where elected representatives at the national level can conduct their meetings. A room at the local library or someone's house will probably do for now. But if this new system of nationwide democracy clubs grows as quickly as I think it will, it won't be long before you'll feel the need to move your headquarters into a more permanent location. And one more thing that you ought to give some thought to in the near future: whether or not you should allow graduating students to maintain their memberships in the national organization. Personally, I think it would be a great idea because it would enable you to experience firsthand how difficult it is to get anything significant accomplished in Congress. You could have high school students operate under the same general rules as the House of Representatives. And encourage graduate members to form their own branches, which would operate under the same general rules as the Senate. If all of this sounds like it might be way too much for high school students to handle on their own, bear in mind that there are a lot of your elders who would be proud to support such a worthy cause in every way possible. After all, haven't they already proven that with March For Our Lives and the other political activities you've engaged in? 2018Platforms.OrgBoth the Democratic and Republican Parties have been providing us with platforms during presidential election years since the 1850s. And although many voters scoff at them as being irrelevant, studies have shown that they are pretty reliable indicators of what to expect from the members of each party. For example, "Overall, Democrats in Congress voted for positions that matched their platforms 74 percent of the time in the past 30 years, while Republicans did so 89 percent of the time." So I hope that you will take advantage of this opportunity to link this domain name to a "2018 Platforms" section of your online headquarters. Its mission will be to lead the rest of us in a successful effort to convince both of our major parties to provide the American people with midterm platforms on a regular basis. And if you can pull it off, I'll transfer ownership of MidtermPlatforms.Org to you next year. That will enable you to create an easy-to-remember web site where voters can access this year's midterm platforms, as well as all future ones. GunLawsDebate.OrgThe purpose of this domain name is obvious, but how such an online "debate" should be conducted is much less so. I suggest that you start by contacting the Democratic and Republican leadership in Congress, and ask them to provide you with such things as what types of gun laws they would like to pass. And what their arguments are in favor of them. But make it clear that they don't need to limit themselves to legislation that has already been written and submitted in Congress. Then you could ask your members to provide suggestions on what individuals and organizations they would like to have engage in a continuous online debate, the purpose of which will be to help concerned citizens determine whether or not they should support passage of these laws. Then conduct a vote to determine which individuals and organizations you will ask to participate in that debate. Although it might sound cumbersome and difficult to manage, I think you'll find creative ways of making it easier as you gain experience. For one thing, there's no need to make the full text of every submission available on your own web site. All you should have to do is provide a list of those engaged in the ongoing debate, including links to other sites where participants in the debate will post their arguments. I have no experience with such things, so I'm sure you can find knowledgeable people with much better advice about how such an online debate ought to be conducted. I therefore encourage you to give it a try. And as an incentive, I will commit to transferring ownership of NationalDebate.Org to you next year if you can at least succeed in getting the leadership of one of our 2 major parties to participate in this year's debate. IssueOf2018.OrgThe idea here is to have your members select one narrowly-defined issue (for instance, a specific type of gun law) that they would like Congress to address by passing legislation this year. And then to ask the Democratic and Republican leadership to keep you informed about what progress they are making, if any. Their initial responses and updates would then be posted on your Issue of 2018's web page(s). And I suggest you make it clear that you will not make any comments (pro or con), or permit them to do so regarding each others' submissions. After all, there are already more than enough web sites where than can be done. I think it's important that this will be universally regarded as neutral territory, where the leadership of both parties will be free to make the case for their legislation in a positive, nonconfrontational atmosphere. This will not only make them much more likely to participate, but will also create an atmosphere that should encourage them to be more cooperative in passing bipartisan legislation. That's because posting their proposals at the same online location, where they can be easily seen and compared, is likely to draw a lot of visits from voters to whom the issue is important. And the more that we the people see the leadership of one or both parties being unreasonably hard-nosed and unwilling to compromise, the more likely it is that we (and the news media) will blame them for the legislative impasse. And the closer we get to this year's November 6th election, the more likely it will be that this mounting pressure will drive them to the bargaining table. To encourage you to undertake this project, I will commit to transferring ownership of IssueOfTheYear.Org to your club next year if you can get the leadership of both parties to cooperate in 2018. 2018Legislation.OrgIf you pick gun control or some subcategory of it as your Issue of 2018, then you'll probably want to list pieces of legislation (bills) related to it at this web page. However, you need not limit yourself to that issue. But bear in mind that the purpose of listing bills here will be to draw public attention to them, with the intention of mustering enough public support to get Congress to pass them this year. So driving visitors away by overwhelming them with too many choices would be extremely counterproductive. Of course, you have a lot of other options beyond simply providing links to the congressional legislation that your clubs' members or elected leaders favor. For instance, including pro & con assessments from well-respected individuals and organizations would probably be a good idea. But if you stay focused and creative, I'm sure that it won't be long before you master what it takes to put this domain name to good use. And because there is really no effective way to measure how successful your use of this domain name will be, all you'll need to do to gain possession of LegislationOfTheYear.Org will be to get the leaders of both parties to provide you with a prioritized list of bills they would like to pass this year. Before moving on to the next domain name, a word of caution. Avoid endorsing any bill (especially a complex & lengthy one) until you have done a lot of research on it yourselves, no matter how many well-respected individuals and organizations might support it. Because, as many activists (including myself) have learned the hard way, sometimes the devil is in the details. 2018CitizenCosponsors.OrgFor at least the past 20 years, members of Congress such as Tulsi Gabbard. have been trying to improve the chances for passing their legislation by enlisting our support as citizen cosponsors. This mirrors the longstanding practice they have of showing support for each other's legislation as cosponsors. As you can see, unlike the Assault Weapons Ban of 2018, Congresswoman Gabbard's bill has a long way to go before it reaches 217 congressional cosponsors—which (when combined with her own sponsorship) would constitute a majority of the 435 members of the House of Representatives. I saw the practice of acquiring citizen cosponsors grow year by year, and it became so widespread in 2005 that I purchased CitizenCosponsors.Org and some related domain names. Unfortunately, the flurry of citizen cosponsor activity I witnessed that year turned out to be its peak. And support in Congress for utilizing this potentially powerful tool for making our voices heard has appeared to be in decline ever since. I've always been an incurable optimist about the possibility for technology to enhance the ability of citizens (rich and poor alike) to make their voices heard, So you can't blame me for seeing so much potential in what was going on in 2005. Here are two of that year's most impressive citizen cosponsor efforts that I took part in, neither of which was even successful in getting its bill brought up for a vote. And if you agree with me that those efforts to get Congress to at least debate and vote on certain legislation might have succeeded, if only more of your elders had taken part in them, then I hope you'll give citizen cosponsorship a try yourselves this year. But whether or not you're any more successful than I was, I'll reward your efforts by transferring ownership of CitizenCosponsors.Org to you in 2019. 1. Democratic Senator Kerry, who was his party's presidential nominee in 2004, "said 500,000 'citizen cosponsors' have signed up at his website to support his 'KidsFirst Act' that would fund health care to all children by ending the recent tax cuts for people who earn more than $319,100 a year." 2. "A major milestone in online environmental activism was reached this week when www.undoit.org surpassed 400,000 citizen co-sponsors of the McCain-Lieberman Climate Stewardship Act, now under consideration by Congress. The Act is the first and best proposal for a bi-partisan and comprehensive national policy to cut greenhouse gas pollution." 2018DischargePetitions.OrgAs you can see in this 2013 video, discharge petitions enable a majority of the members of the House of Representatives to ensure that a bill they support will be debated and voted on. And on the rare occasions when they are successful, it is often due to the pressure put on members of Congress by concerned citizens. I ought to know, because I joined members of the League of Women Voters and other citizen groups in their successful 7-month long push to bring the Bipartisan Campaign Reform Act of 2002 up for a vote. And it actually wound up getting passed into law! Unfortunately for its supporters, however, court cases like Citizens United have gutted that legislation since then. WhiteHouse Petitions.OrgThe purpose of the previous four domain names was primarily to use modern technology to enhance citizens' ability to get majority-supported legislation passed. And while that is probably of paramount importance to most of you right now, I think it's also extremely important for you to consider leading the rest of us in finding ways of employing modern technology to ensure that the voices of minorities will be heard and respected as well. President Obama provided his fellow citizens with a number of means of accomplishing that, but most of them were not retained by President Trump. Fortunately, the one major exception has been his We the People petition site, where "Anyone 13 or older can create or sign a petition," And where any petition that acquires "100,000 signatures within 30 days" is guaranteed a response. And in a country of over 326 million, 100,000 amounts to quite a small minority. Unfortunately, responses from the Trump Administration thus far have been relatively brief and evasive. Especially so in comparison to those from officials in the Obama Administration. "This is a big victory for consumers, and I'm glad to have played a part in it. A lot of people reacted skeptically when I originally started the petition, with lots of comments to the effect of 'petitions don't do anything.' The optimist in me is really glad to have proved them wrong. The White House just showed that they really do listen, and that they're willing to take action." And don't be discouraged from submitting petitions to President Trump and his administration simply because the results thus far haven't been very impressive. A lot of what has been submitted is either very antagonistic (like this one), or has asked them to support something that their previous statements and actions indicated they would be likely to oppose (like this one). So if you limit yourselves to submitting petitions that President Trump and members of his administration won't instinctively disagree with, and you do so in a respectful manner, I think you will be pleasantly surprised with the results. PetitionsCommittee.Org & PetitionsCommission.OrgThese two domain names are both meant to be linked to the first petition that I suggest you submit to the Trump Administration, as well as list on your club's White House Petitions page. It will ask President Trump to urge Congress to provide the American people with an e-petition system similar to his own, and to establish a petitions committee for administering it. Your petition will, of course, have to be much briefer than this 2015 version that I submitted on the same petition site we're using now. It was a "trial balloon" to see if there was enough public support to merit my trying to interest a large citizens' group in initiating a petition of their own. As you can see, it only acquired 15 signatures in 6 months, so I deactivated it in early 2016. I updated its background section recently, however, so that you could use it to familiarize yourselves with this issue. And I think you'll end up concluding, as I have, that this is an issue that should appeal to a broad cross-section of the American people. As demonstrated in the second version, however, you can get around that by providing a link to more information. The White House system won't allow the inclusion of HTML links, but in the past I've seen others get around that in this manner. However, I can't guarantee that the site's current administrators won't pull the plug on such a petition once they become aware of it. MSDPetition-1.Info thru MSDPetiton-10.InfoAs described above, these domain names can be used to provide links to background information that is too extensive to fit into the White House petition system. Amendment28.OrgThis domain name is meant to be used for the online headquarters of a nationwide effort to pass our country's next constitutional amendment. And because (as the video below shows) our country's constitution is incredibly difficult to amend, I suggest that you put this one on hold until your new clubs become well-established. But whenever you eventually get around to using this domain name, I think you'll be amazed at how easy it will be to generate a great deal of interest in your project—including from citizen groups of every size and type imaginable. Here again, I should know. I got so many inquiries about this domain name after I purchased it in 2002, that I was driven to pay extra fees every year so that nobody can tell that I own it. So I wish you good luck with this domain name, which I predict that you'll wind up looking back upon as both your most challenging and rewarding one to work with. And no matter how many years it takes until you celebrate your hard-earned victory, one of your rewards will be the rights to Amendment29.org. Some Final Words of Advice1. BE CAREFUL NOT TO UNNECESSARILY ALIENATE ANY POTENTIAL SUPPORTERS, ESPECIALLY SENIORS: I won't mention any names, but some of your movement's early leaders have done such things as curse in public, and say incredibly insulting things to adults. This type of behavior isn't likely to win your cause many friends, and is sure to drive away a lot of potential supporters—especially seniors. And as this recent poll shows, we tend to favor gun control measures more strongly than any other age group that's old enough to vote. For example, an estimated 76% of seniors in Florida support "a nationwide ban on the sale of assault weapons," which is 29% higher than those aged 18-34! 2. DON'T FEEL INTIMIDATED BECAUSE MOST OF YOU ARE TOO YOUNG TO VOTE, AND ARE RELATIVELY INEXPERIENCED IN POLITICAL ACTIVISM. 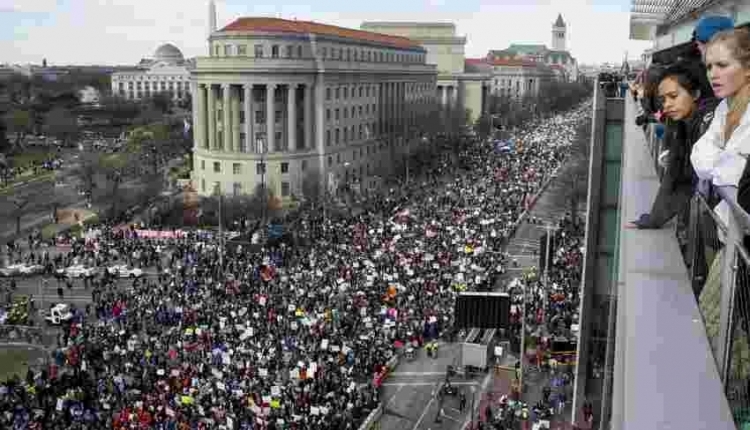 Because, as an historian at the Smithsonian’s National Museum of American History recently reminded us, our country's youth have "helped save democracy" before. And "If anyone should be choosing the issues in politics, it should be the young, for they have a longer future to provide for." 3. AND LASTLY, DON'T BE DISCOURAGED IF YOU'RE NOT ABLE TO SECURE ANY MEANINGFUL VICTORIES IN THE NEXT COUPLE OF YEARS. The 21st Century Democracy Club petition to Domain Names Owner was written by Tom Foreman and is in the category Government at GoPetition.